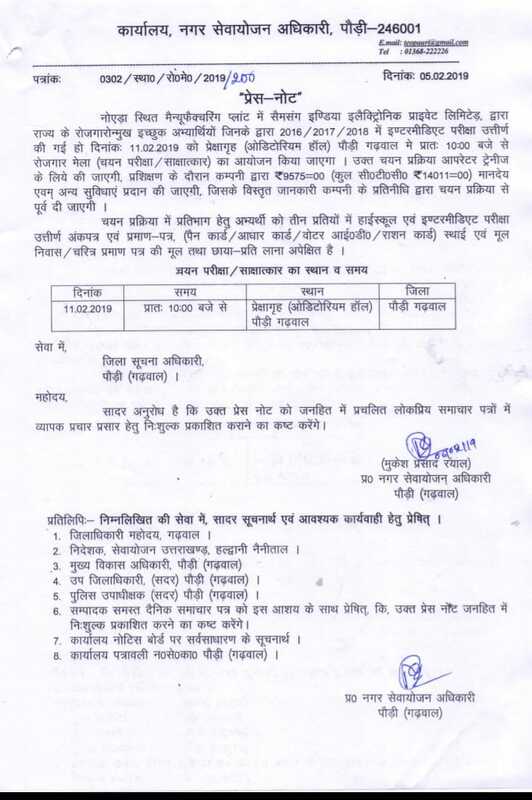 Pauri Employment office is going to organize a Job Fair on 11 February 2019 for unemployed candidates. The job fair is for both Male & Female Candidates. Total No. of Posts is not declared yet. 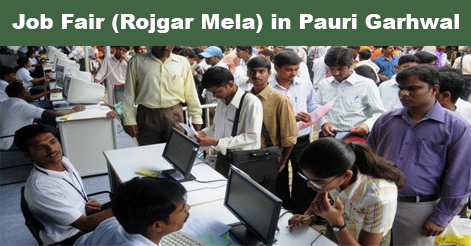 The job fair will be held at the Auditorium Hall, Pauri Garhwal to participate in this upcoming job fair. Candidates, who have passed the Intermediate examination in the year 2016/2017/2018, can participate in the Job fair on 11 February 2019 from 10:00 p.m. at Auditorium Hall Pauri Garhwal. Pauri Garhwal Job Fair will be held at Auditorium Hall, Pauri Garhwal on 11 February 2019 from 10:00 am. Note: During the training, the candidates will be given a stipend of Rs.9575 / – per month (Total C.T.C.= Rs.14011) with other facilities, details of which will be given by the representative of the company prior to the selection process. Candidates, who have passed the Intermediate examination in the year 2016/2017/2018, can participate in the Job fair on 11 February 2019 from 10:00 p.m. at Auditorium Hall Pauri Garhwal. The registration process will be done on the same day. Venue: Auditorium Hall, Pauri Garhwal. Date of Job fair: 11 February 2019 from 10:00 am. Help us to improve this article/job posting "Job Fair (Rojgar Mela) in Pauri Garhwal – 11 Feb 2019". We would be glad if you can comment below and provide your valuable suggestions and feedback. If this page have any wrong information/list or out of context content, then you can report us as well.